Today, Perfect World Entertainment Inc., a leading publisher of free-to-play MMORPGs, and Cryptic Studios announced Neverwinter: Ravenloft is now available on PC and arrives later on Xbox One and PlayStation 4. In the 14th module for the free-to-play MMORPG set in the Forgotten Realms (and beyond), adventurers are called to Barovia, where they face Strahd’s cursed land and all of its horrors. This departure from the Sword Coast brings gameplay features unique to Ravenloft such as a meaningful day-to-night cycle, Tarokka Card collections and readings, an Endgame Dungeon in Castle Ravenloft and much more. • Barovia Adventure Zone – From the Vistani Camp surrounded by a dense forest to the Ruins of Berez, Ravenloft’s setting is a stark change of scenery from the bright and lively Protector’s Enclave. The gothic horror theme plays a huge role in this new module. 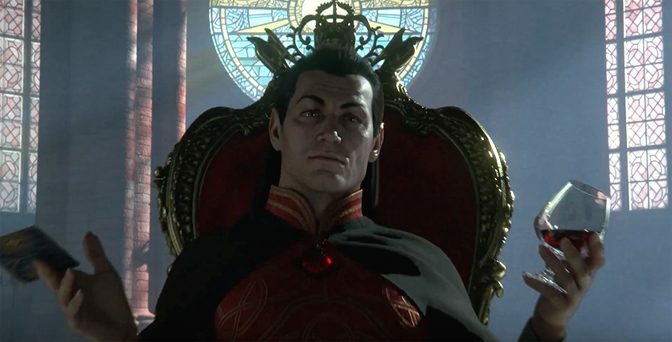 • Castle Ravenloft Endgame Dungeon – The infamous lair of Strahd von Zarovich makes its Neverwinter debut and provides an endgame challenge for the most daring and powerful adventurers in (or out of) the Realms. Challenge the lord of the land for impressive rewards. • Meaningful Day-to-Night Cycle – Fear the night! The time of day in Barovia determines which creatures, object and NPCs will spawn throughout the land as well as how ferocious enemies will be. • New Heroic Encounter & Monster Hunts – At the edge of Strahd’s domain rests the fabled Yester Hill where Druids worship the vampire lord. Party up to tackle this new heroic encounter, then learn how Ravenloft redefines the “monster” in the Monster Hunt activity where players can modify difficulty with unique hands of Tarokka Cards for unique rewards. • Ravenloft Campaign – Barovia is cursed and adventurers have been summoned to free its denizens. 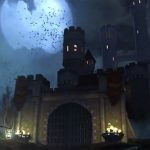 In Neverwinter’s latest campaign, players will explore the darkest corners of Barovia to get the upper hand on Strahd and his vast army of evil. Completing the campaign unlocks a unique set of boons to aid in future adventures. • Tarokka Card System – Like the devious playing cards that summon players to the domain of dread, overcoming the many obstacles within Ravenloft unlocks unique cards. Wager these cards in Monster Hunts or collect the whole set and turn them in to Madame Eva for a special reward. Neverwinter is a free-to-play action MMORPG that features fast-paced combat and epic dungeons. 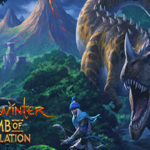 Players explore the vast city of Neverwinter and its nearby lands, learning the vivid history of the Forgotten Realms while battling its many enemies. Neverwinter is available on PC and is free to play digitally on Xbox One (with Xbox Live Gold) and PlayStation 4 (PlayStationPlus not required).